Gareth Bale’s UCL final celebrations after the full-time whistle in Kiev might say a lot about his future in Spain. The Welsh international stole the headlines in what was a bizarre end to Liverpool’s magnificent run in the competition. He came up with one of the goals of the season, and added another from long range to put the game beyond the English side. However, before coming off the pitch, the 29-year old spoke about his frustrations as a player at Bernabeu, talking about his lack of game time: “For me personally, I feel like I should be playing week in, week out and I haven’t been. “I’ve been doing well, scoring goals, but I haven’t been playing as much as I would like so, as I said, I am going to have to sit down over the summer and seriously consider what we do next,” he said, fuelling rumours linking him with various clubs. Manchester United have been long-term admirers of the winger and will look to sign him, while Tottenham Hotspur reportedly have a buy-back clause that they might be tempted to use. Real will try their best not to lose him too, as they are also determined to keep him. However, in Kiev, the two-goal hero was one of the first Real Madrid players to get off the field after lifting the trophy, and what he did after getting off could be an indication of his current situation at the Spanish outfit. 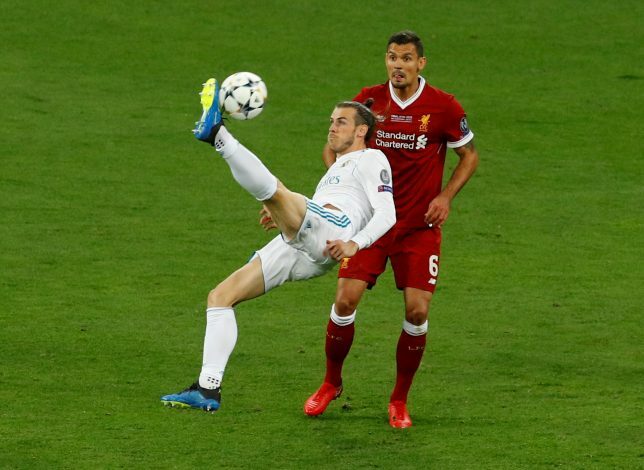 As revealed by the Daily Mail, Bale went straight to Liverpool’s dressing room instead of his own, and spent about 20 minutes there with the likes of Adam Lallana, his former teammate from Southampton, before finally heading back to join his fellow Real Madrid stars. It not only shows the frustration he has been under in recent times, but it is also an indication that his time with the 13-time UCL winners might be up.